View of “Angela Bulloch,” 2010. 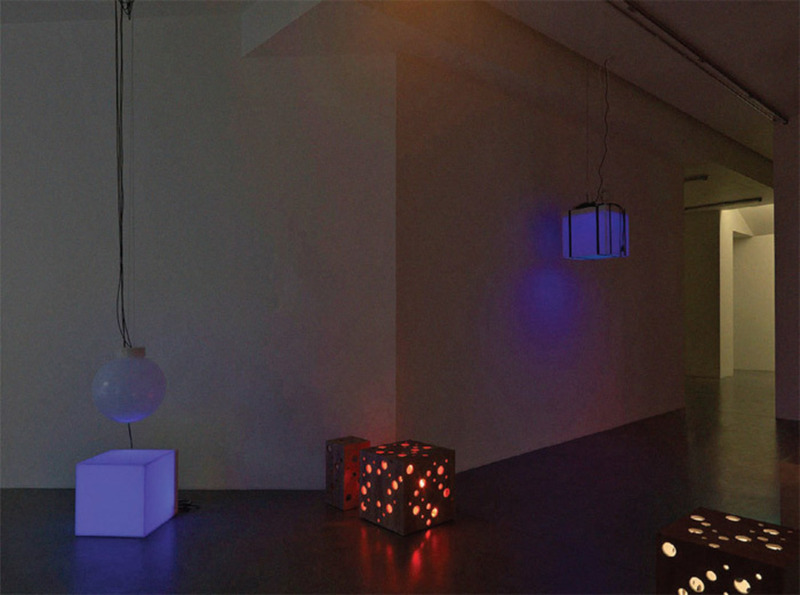 Toward the end of the 1990s, Angela Bulloch began working with pixel boxes. Each is a wooden cube with one translucent face, behind which are lighting tubes that glow any desired color, controlled by the input signal from the artist’s proprietary DMX module. These objects quickly became her signature, employed in diverse ways over the next few years. With “Discrete Manifold Whatsoever,” her first solo show in Britain since 2005, Bulloch has again turned to the pixel box, albeit in a new way that emphasizes concerns that have perhaps not always been so overtly apparent. Rather than foregrounding the box as a parcel of digital information operating within a space it helps both to construct and to define, the works in “Discrete Manifold Whatsoever” make more direct allusions to earlier practices with which they share a formal language, above all Minimalism and Op art.